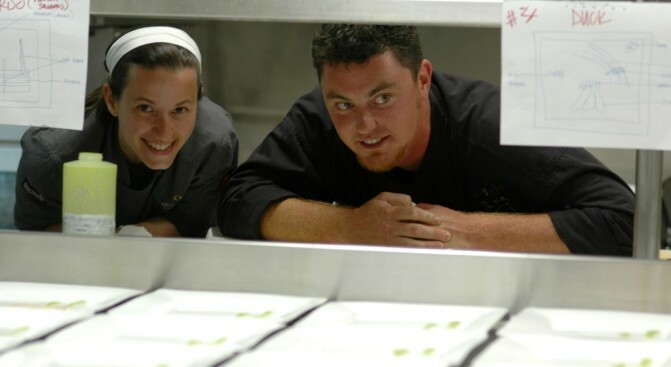 The two chefs pose for a picture. Not too many people would voluntarily leave Google, where free meals and frequent raises are provided. But if you were behind making all those free meals everyday, you might venture on your own one day. That's exactly what former Google Executive Chef Nate Keller did and he took fellow Google chef Mirit Cohen with him. Together the two have opened their own catering service called Gastronaut and just like at Google, the two have won a few fans. They have rave reviews on Yelp and the Wall Street Journal says the two have found success with corporate clients like Twitter. Te chefs have a habit of tweeting their menus and are open for catering gigs. Just in case you need someone else to take care of the holiday food for you.